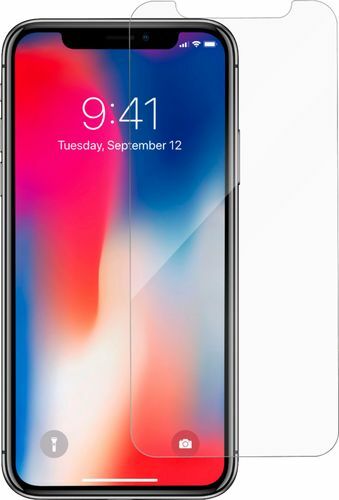 FeaturesDesigned for use with Apple iPhone X and XS For a proper fit. Crystal Clear smooth tempered glass With reinforced, beveled edges gives you maximum HD image clarity and remarkable touch sensitivity. New Ion Matrix technology Provides most advanced impact and shatter protection. Scratch and smudge-resistant design Protects your device's screen against damage. Smart EZ Apply tabs Make application bubble free. Simply align the adhesive, press it, and watch as Glass+ does the rest.